These are some of the native plants that we have in the parks of North Saanich. 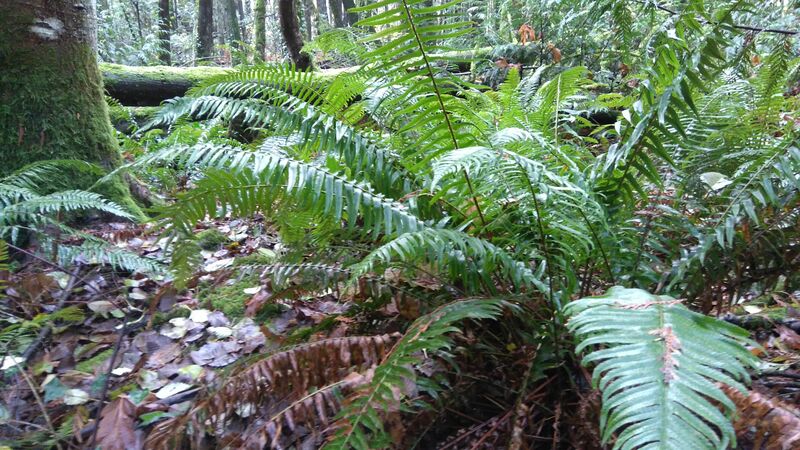 Sword fern is a very common evergreen plant that loves fertile soils and shady areas. 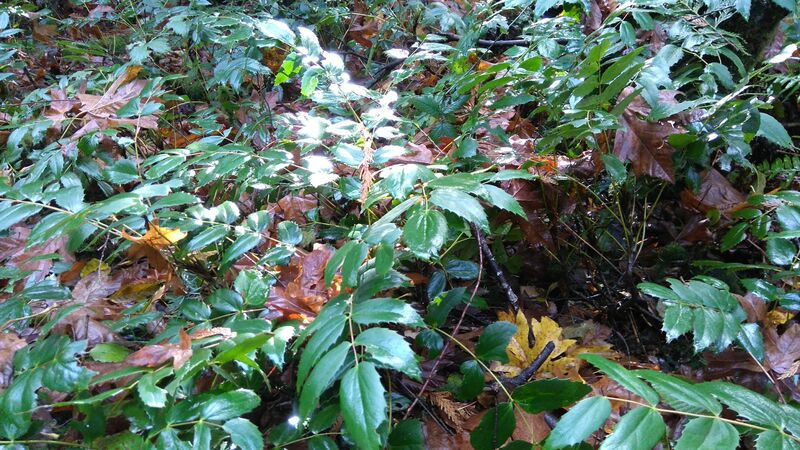 Dull Oregon Grape is an understory plant. It provides food for birds. The leaves have sharp edges. 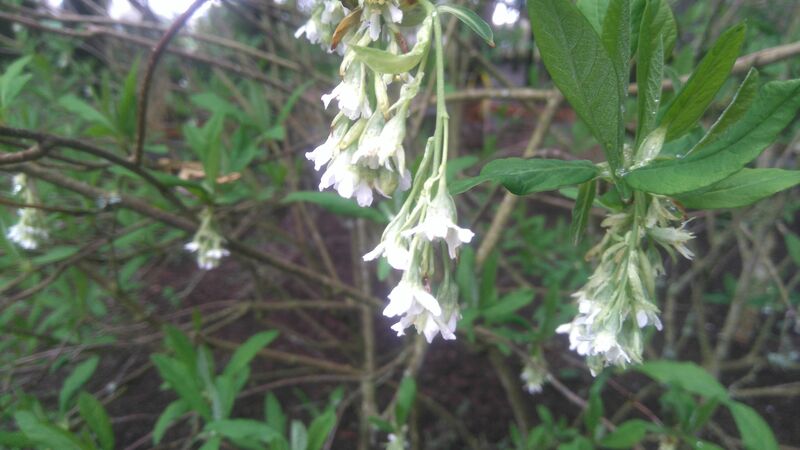 Snowberry is a very common deciduous shrub. It provides habitat and food for birds. All parts of this plant including the berries are poisonous. 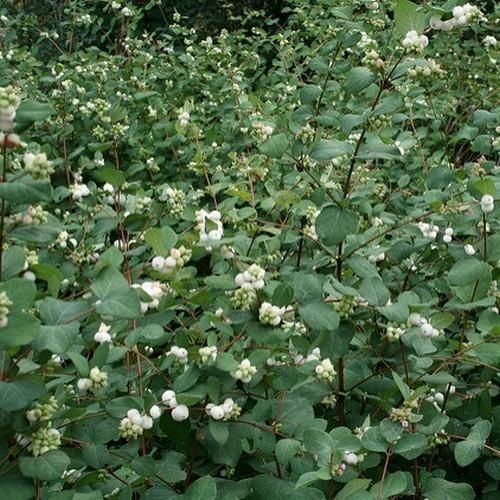 Snowberry is actually considered an invasive native. It is native to the island but it does have a tendency to take over. Indian Plums are tall deciduous shrubs with an early bloom. The male and female flowers are usually on different shrubs making insects very important in the reproduction of this species. The leaves are one of the first to unfold in the spring. Salmon Berry has a very similar look to a raspberry. It blooms early in the spring with beautiful pink flowers. It is an early food source for hummingbirds and insects. There are prickles that cover the stem. 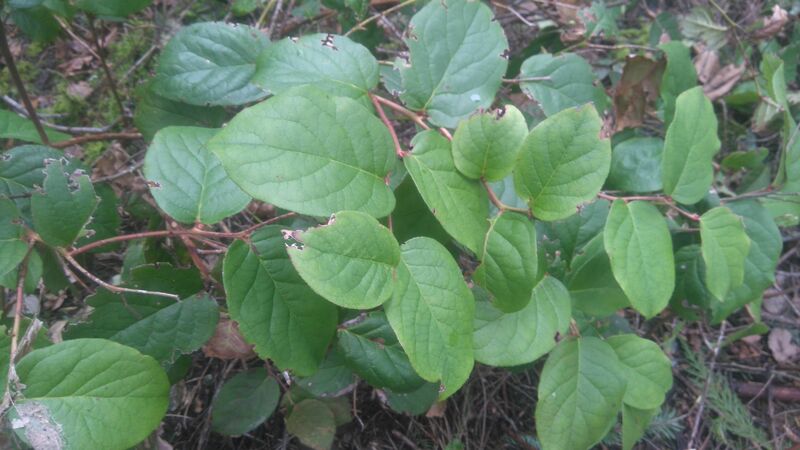 Salal is an evergreen shrub that can reach up to 2 meters tall in the understory. 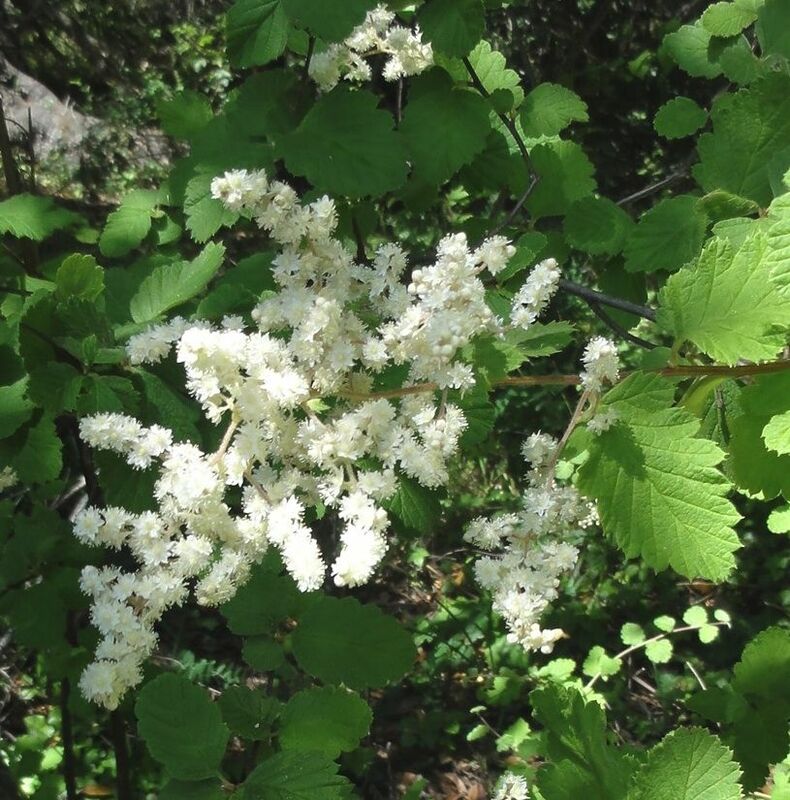 Salal has tiny flowers that are in a row and pointed down. The berries are blue, hairy and edible. 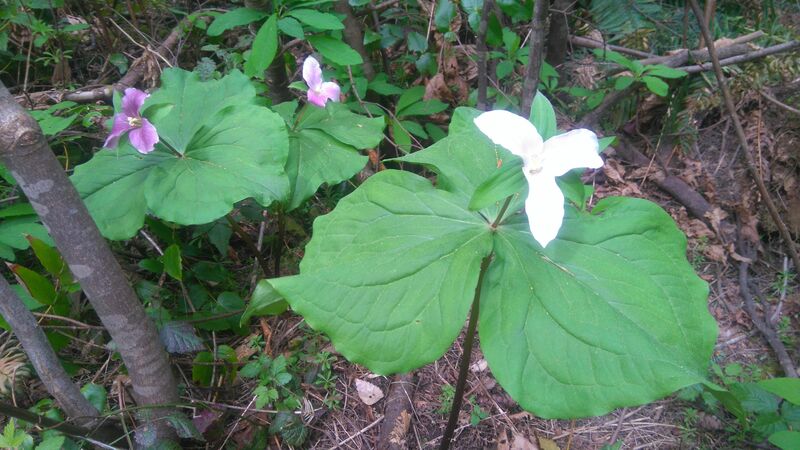 The Trillium is a delicate flower that blooms in early March. The white flowers turn pink and purple with age. Ants play a large role in seed dispersal. 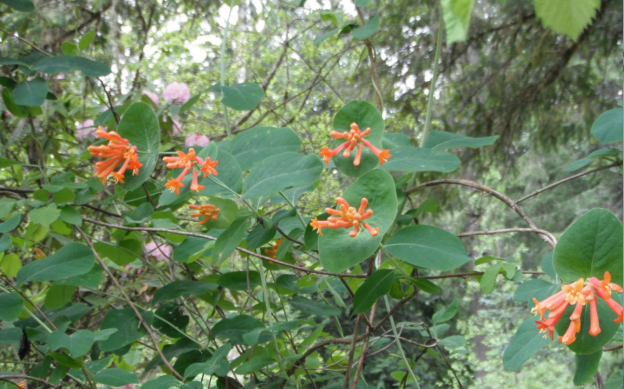 Orange honeysuckle or the Western Trumpet honeysuckle is a deciduous vine. The flowers which are trumpet shaped, collect nectar at the base. The nectar attracts hummingbirds and insects. 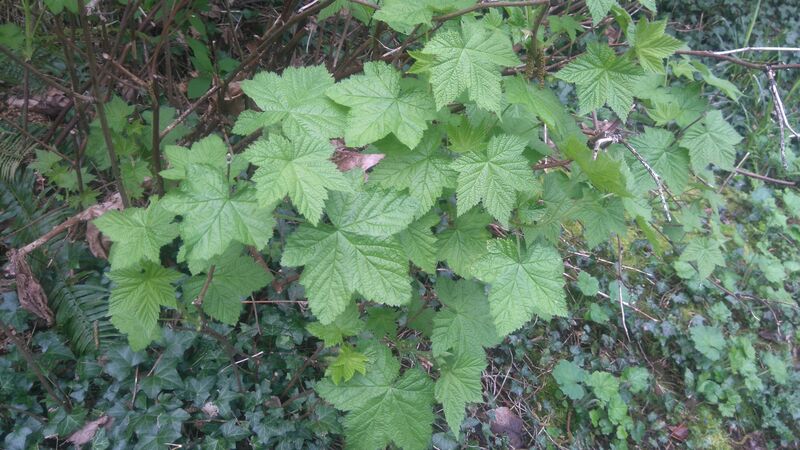 Oceanspray is a deciduous scrub that can grow up to 5 meters tall. 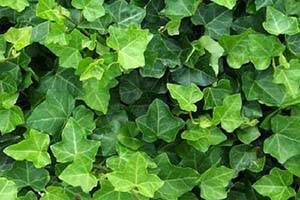 It provides excellent habitat for the birds and animals. The large clumps of flowers attract numerous insects and once dried, the tiny seeds from the flowers attract birds.